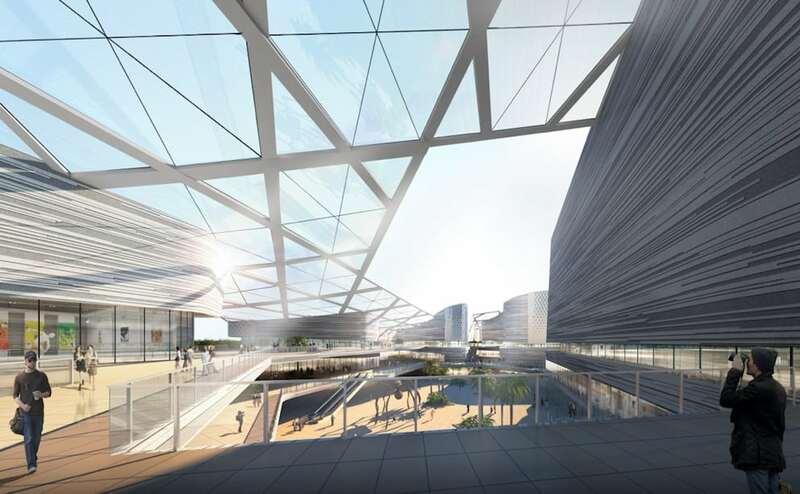 The design has been inspired by the traditional Southern China mud-fish traps. 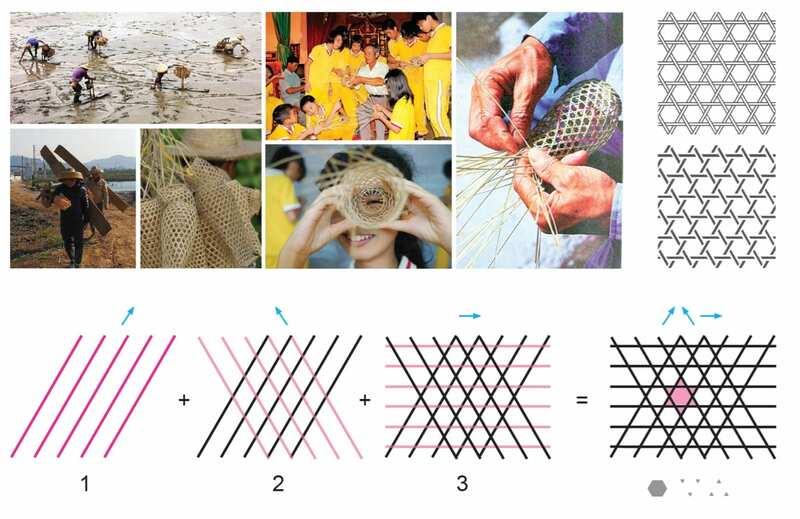 These traps are hand woven and consist of two diagonal fibres interwoven with a 3rd horizontal fibre that creates hexagons and triangles. In our design, we used this pattern as a grid to define the master-plan and the foot-print of each building and to design the facades and landscape. 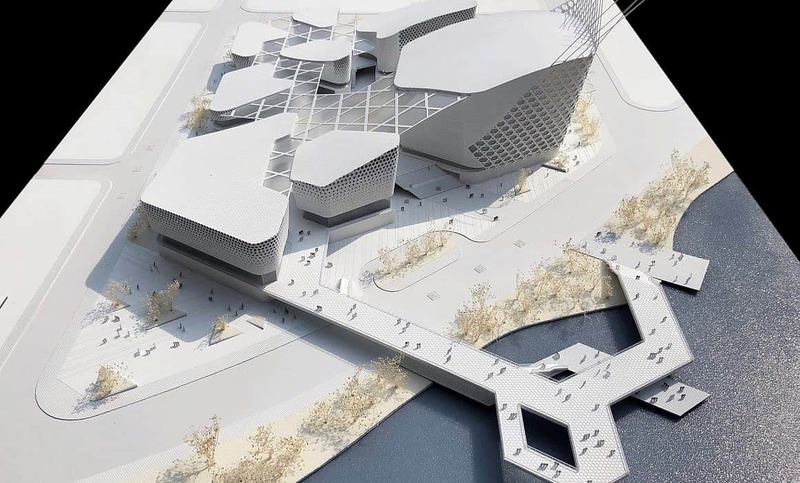 MLA+ was awarded the second prize in the competition which was won by the Shenzhen Harbin Design University Institute. 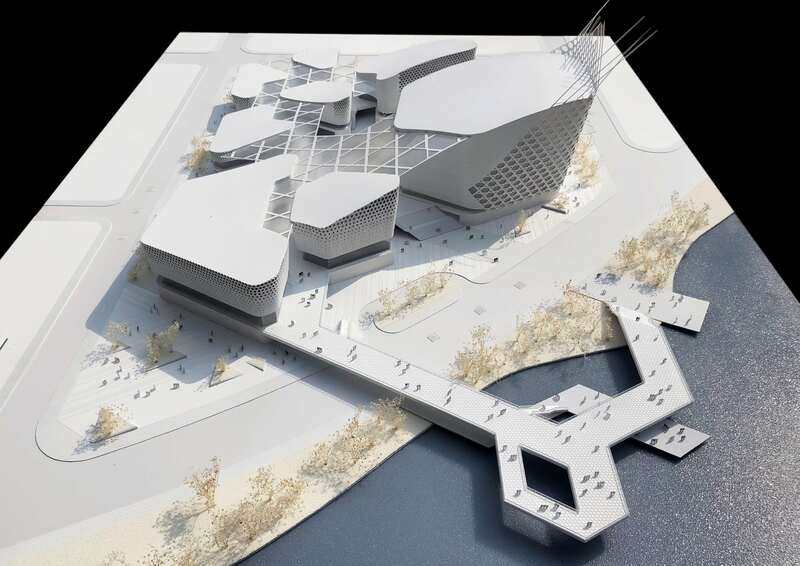 The jury hailed the work of MLA+ as a successful combination of a powerful concept rooted in the context and culture of Zhuhai and a convincing design.